Where Real People…Expert Knowledge…Superior Service…and Longevity Benefit You! Bob has been in the roofing industry since 1978 and has spent all of those years with Bob Piva Roofing. After working for his dad for many years, Bob purchased the company from him in 1995. He has a great deal of experience in all areas of roofing and roof repair. Many customers have told him over the years that, “we should’ve let you do our roofing job the first time”. Bob enjoys the fact that his company is known as the “best value in roofing” and having the opportunity to prove it again and again. Outside of work, Bob generously gives of himself through his involvement in youth sports and sponsorship of local teams. 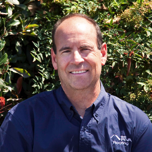 David has been in the roofing industry and with Bob Piva Roofing since 1990. He is the production manager for Bob Piva Roofing and Bob Piva Windows. He handles pricing, production, scheduling and structural work. He enjoys working for Bob Piva Roofing because of the “friendly, family-oriented atmosphere”. He has received many compliments on behalf of the company for their dedication, craftsmanship and loyalty to their customers. David’s free time revolves around carpentry, helicopters and aerial photography. 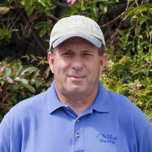 Keith has worked for Bob Piva Roofing since 1977 as superintendent of flat roofs and repairs. He pays close attention to detail and provides high quality, professional workmanship. His pride of workmanship shows in all of his jobs. During his 30+ years in the industry, Keith has seen advancement in all roofing materials which he says has led to better quality roofs. 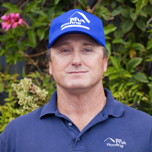 Keith enjoys working for Bob Piva Roofing because, “it enables me to do quality work, throughout San Diego County, that will be trouble-free for many years”. Keith was born and raised in Southern California. He enjoys hanging out with Ralph (his dog) and riding motorcycles. 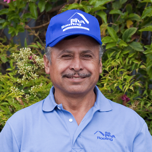 Marcos has been in the roofing industry since 1974 and has worked for Bob Piva Roofing since 1985. He supervises all pitched reroofing jobs and takes pride in “roofing it right”! Marcos came to the US from Mexico when he was 13. He enjoys being around animals, riding horses and spending time outdoors. He also enjoys spending time with his wife and six children. Marcos likes working for Bob Piva Roofing because, “there is always work, I enjoy working at new locations/job sites and because the company treats me well”. 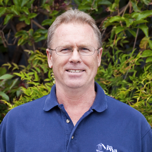 Brian has been in the roofing industry since 1987 and with Bob Piva Roofing since 2002. He has expert product and industry knowledge and an understanding of people’s needs. With 22 years experience in home improvement sales, Brian is especially good at finding his customers a product they like, at a price they are comfortable with. Brian says his customers regularly thank him for being polite and for doing what he says he will do! He likes the morale and fortitude of Bob Piva Roofing. Brian is married with a daughter in college. He has lived in California since 1979 and enjoys skiing in Mammoth, hiking and water sports. Donna joined Bob Piva Roofing as a receptionist in 2001 however she has been indirectly involved (through her husband) in the roofing industry since 1979. Donna is patient, organized and pays close attention to details…must have skills for any bookkeeper! Donna also handles payroll and job scheduling for Bob Piva Roofing, as well as coordinating all work parties and celebrations. 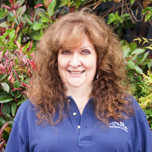 Donna enjoys working at Bob Piva Roofing because, “it’s a family business with family values. I am a person here, not a number.” Donna is married with one daughter, two grand-daughters & two cats that “rule the house”. She enjoys gardening, beading and Sci-Fi!